Agile Estimation is a crucial aspect of proper management and planning if you want to make sure that the efforts invested in implementing, testing, and delivering the product to the client within the specified deadlines are progressing towards the right direction. In order to keep moving on the progressive path of the product development journey, it is important for efficient product owners to make use of facilitation techniques. In this blog, we will discuss about the two most effective and popular techniques that can help your team to deliver the product within an estimated deadline. Planning Poker is a consensus-based agile estimating and planning technique that is generally applied when we need to estimate multiple number of small items within a group, which is also equally small in size. A Planning Poker session begins with a group of estimators and client; all assembled in a circular position. Once everyone is settled, each estimator is provided with a pack of poker cards of values 0, 1, 2, 3, 5, 8, 13, 20, 40 and 100. These values stand for story points or measuring units through which the group would estimate. The session starts with either the product owner or the client reading out an agile user story or describing its features and requirements to the estimators. The briefing session of the product owner/client is followed by the estimator coming up with clarifying queries. At the end of the discussion, each estimator privately selects a card to represent their estimate. If the estimators choose the same value, then that value becomes the final estimate. If the values differ, then the estimators will again have to resume the discussion. This virtuous cycle of discussions and choosing value ends whenever a consensus is reached. With the engagement of the whole team, the collaboration gets strengthened. The consensus estimates are far better than a single person estimates. Exposing issues at an early stage of the project is helpful than getting stuck in the middle of the project development journey. 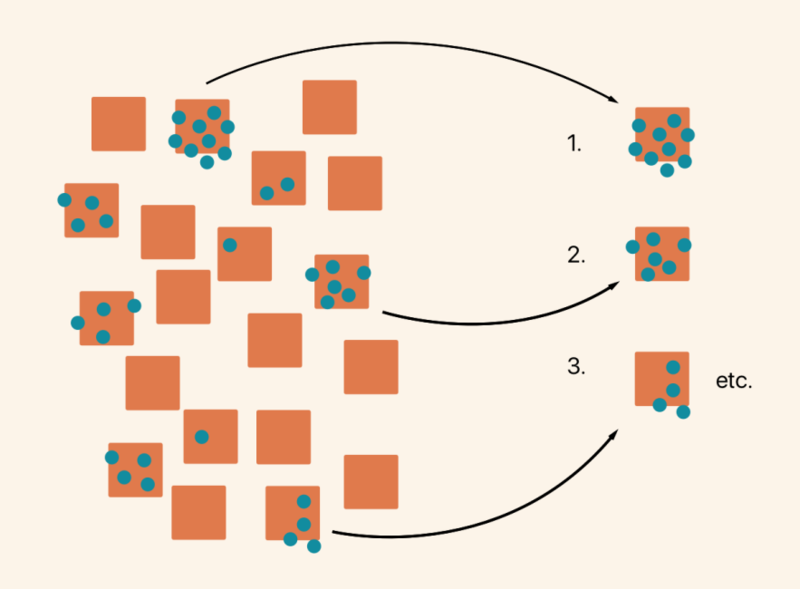 Dot Voting is an effective ranking methodology where each member of the team is assigned a set of votes (mostly three in number), represented as dots. At the same time, every member of the team jot down the solution on individual note cards and pin it to a table/wall/board to start receiving votes from the stakeholders. Every team member will receive their votes in the form of a dot. These dots are placed on a note card that they favor the most. The method of choosing the winner is simple since the owner of the note card that receives the maximum number of dots (votes) wins the session. In case if the stakeholders are not satisfied with the result, then the members come down to a decision where the note cards are placed on the basis of priority — high to low. The note card with the highest priority gets selected for another round of voting. The process of voting goes on until the stakeholders arrive at a final consensus. Since participants do not need to deliver a comparative judgment of each option, this method is quick and effective. Out of the long litany of options available in the table, Dot Voting methodology leverages the collective wisdom of the team to ensure increased focus on the most crucial issues of the project. Agile methodology has gained a lot of popularity across the globe because of its quick nature of flexibility and adaptability. This explains why about 71% of organizations report using agile approaches. Nevertheless, the effectiveness of the methodology is always put to question for its narrow window of estimation possibilities. It is important to note that agile estimation is no longer a complicated process anymore. Rather it has transformed to become a vital and effective element of the agile product development journey. Implementing the methodologies can help teams to democratically discover a workable solution for issues that would otherwise lead to disagreement between team members. Agile TechnologyWhat is agile methodology?